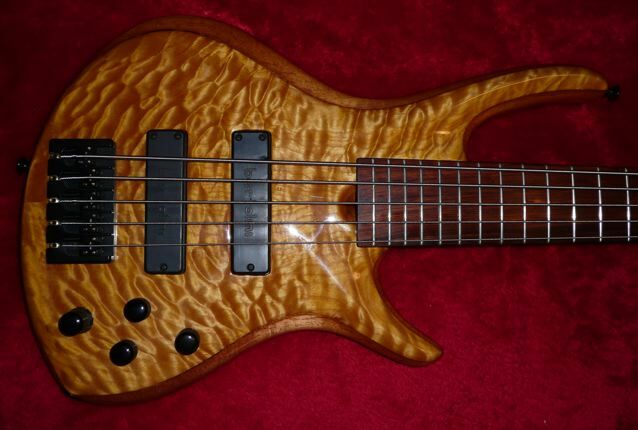 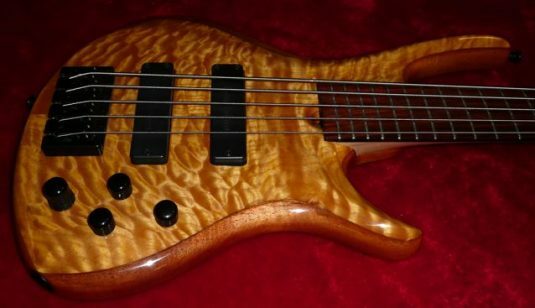 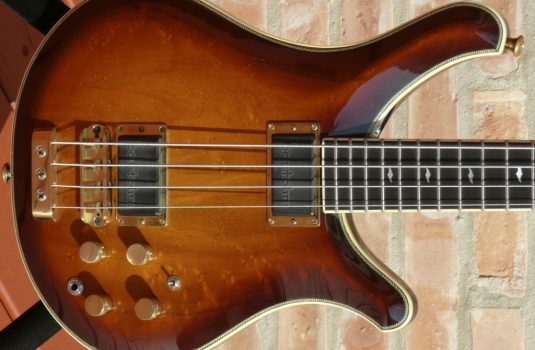 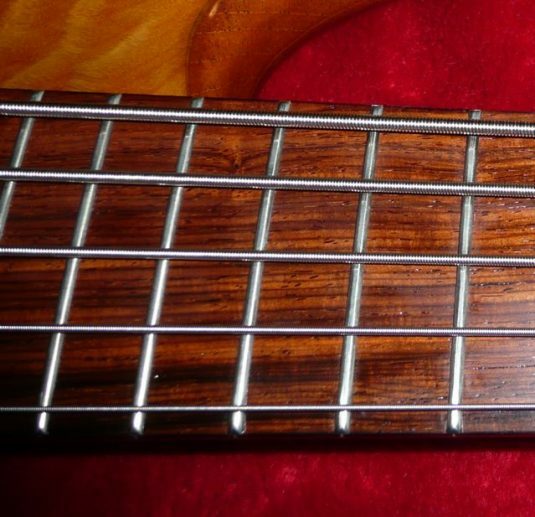 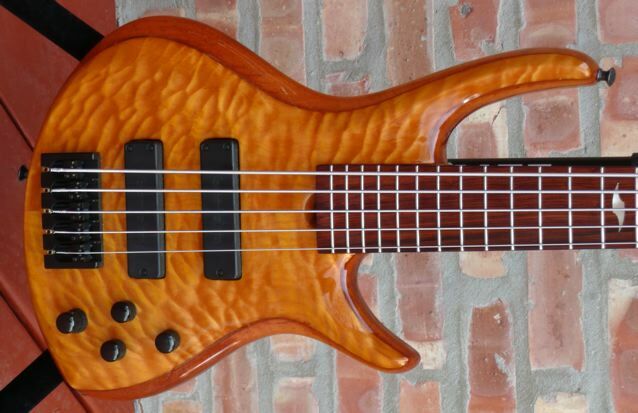 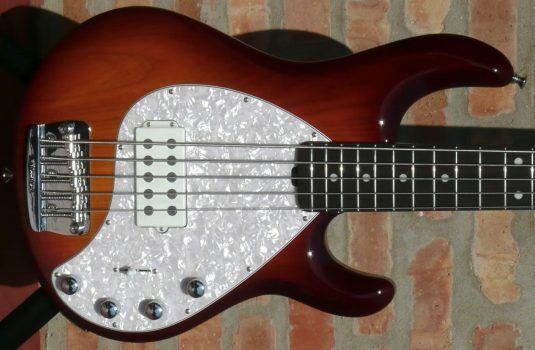 This is Keith Roscoe’s top-of-the-line Century style bass , and it is easy to see why. Check out that Quilted Maple top, the Exhibition grade Cocobolo fretboard , the multi-laminate neck (yes, that center section is also Cocobolo). 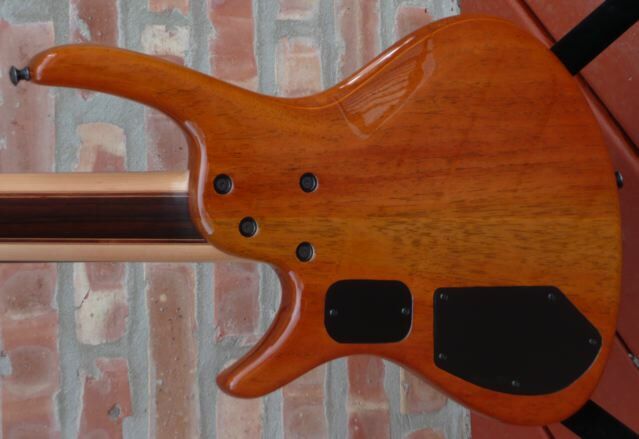 The body is Spanish Cedar. 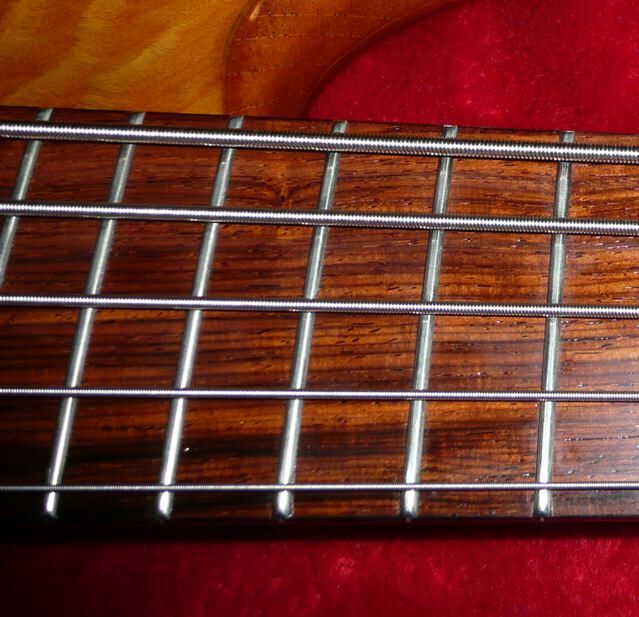 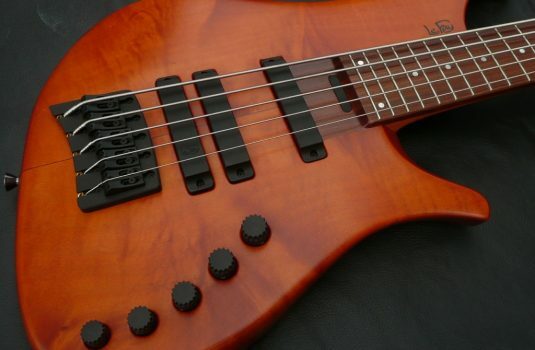 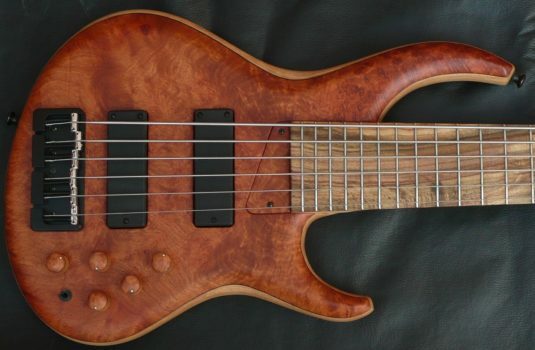 Bartolini soapbars are paired with the Aguilar OBP-3 preamp. 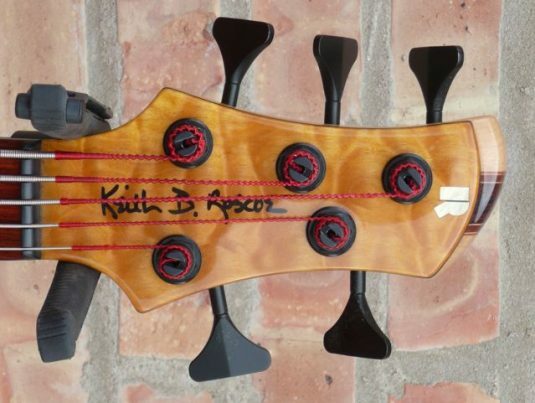 Hipshot hardware all around. This extraordinary bass is in extraordinary condition and is supplied with the Roscoe hardshell case.